Vibration is produced by rotating machines like chain saws and drills, and impacting tools such as a jackhammer. Bumpy roads can also cause vibration to the passengers in the car. 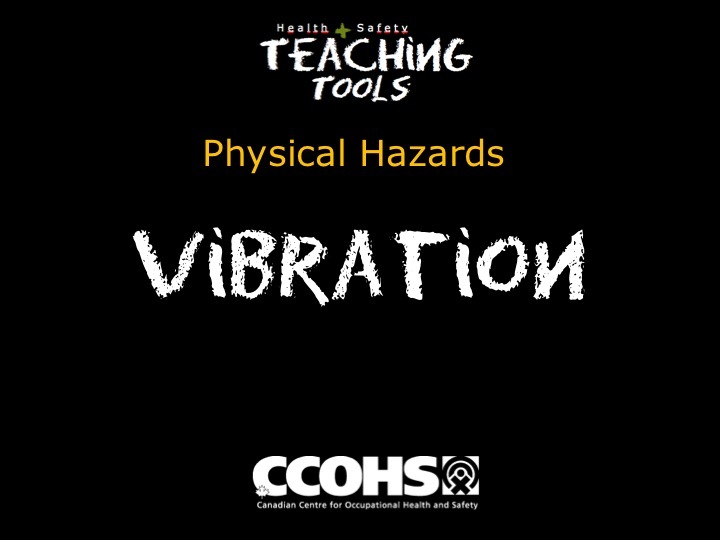 Vibration exposure occurs when we come in contact with vibrating tools, seats or floors. The health effect appears in the part of the body that comes in contact with vibration. Hand-arm vibration can damage blood vessels and nerves in hands. As a result, fingers turn white or bluish, especially when exposed to the cold. This condition is commonly called "white finger" disease. 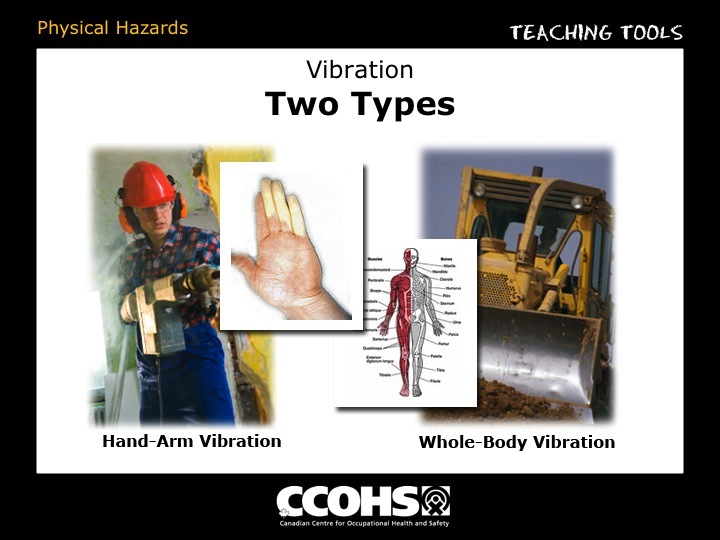 It's medical name is Hand-Arm Vibration Syndrome (HAVS). Cold exposure can aggravate HAVS. Whole body vibration affects the entire body structure (the musculoskeletal system). Short-term exposure to vibration may cause tingling and numbness in fingers and hands. 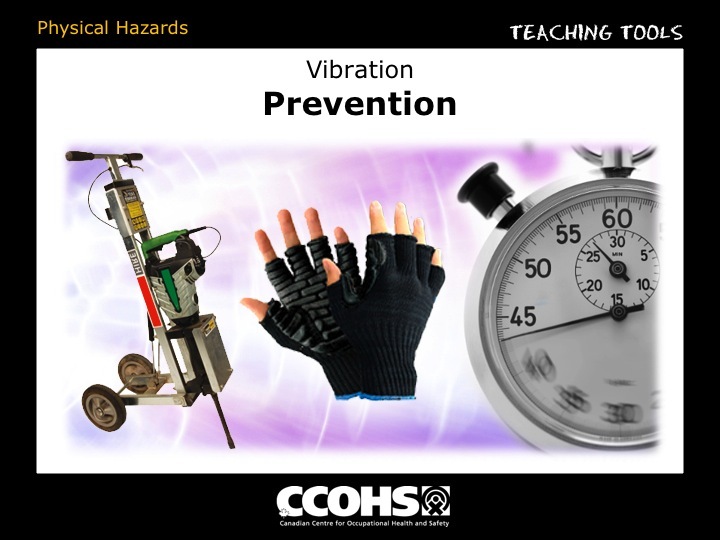 Long-term exposure to hand-arm vibration damages the fingers and hands. Damage is especially painful when hands are cold. In severe cases, the person may not be able to continue using tools. If you experience tingling in your hands, stop work and take a rest. The tingling will disappear after 15 to 20 minutes and then you may resume working. The best way to prevent vibration exposure is to buy tools and equipment that produce a minimum of vibration. Such tools and equipment have built in controls to prevent harmful vibration exposure to the user. Whole body vibration may cause damage to muscles and joints. In the beginning there is pain which, with time, becomes an injury. 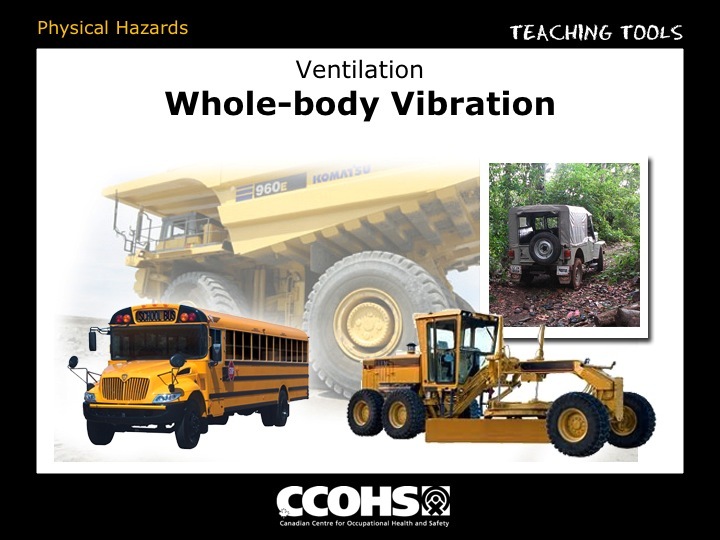 Riding in a car or truck on a gravel road in a campground or park or riding some amusement rides may expose you to whole-body vibration. Heavy machines and equipment have vibration isolation mountings which stop machine vibration from affecting the attached structures (such as the driver's seat). Many buses have driver seats with vibration isolation mounting. Spring and shock absorbers in your car are also types of vibration isolation. When these vibration isolators are defective, a car ride could be a source of vibration exposure. using anti-vibration gloves - they also help to keep hands warm.